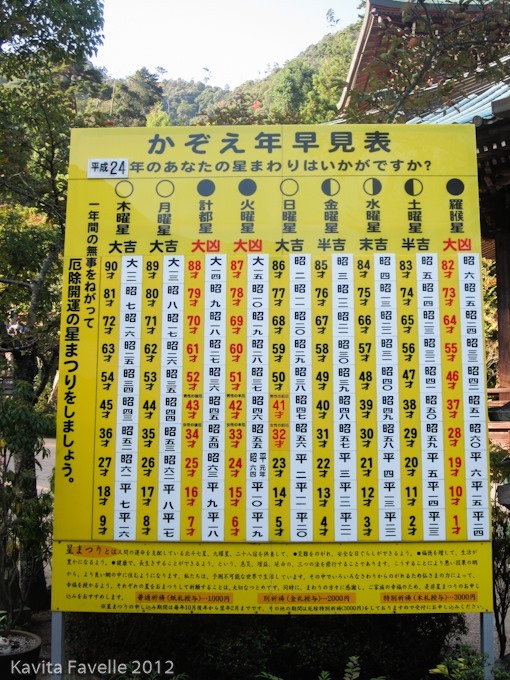 Part 1, Part 2, Part 3, Part 4 & Part 5. 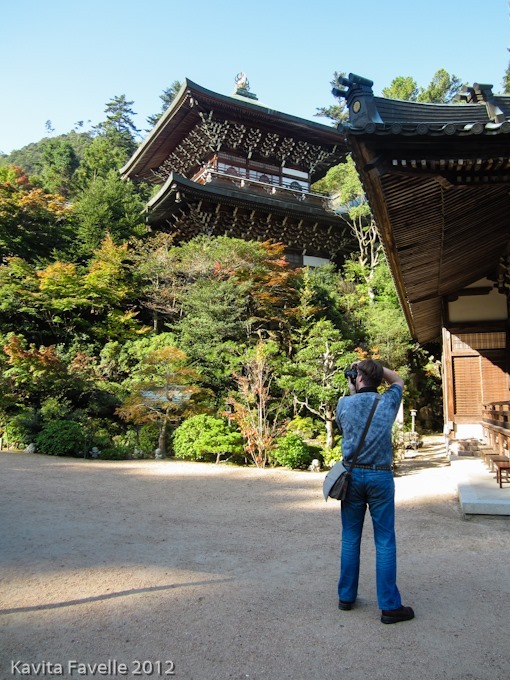 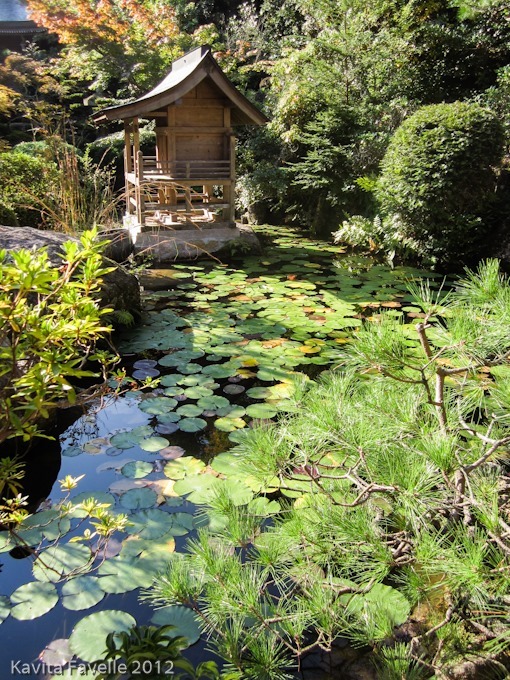 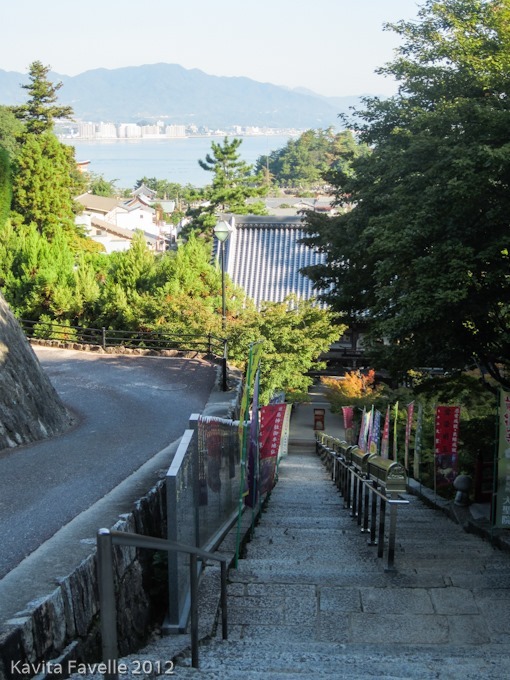 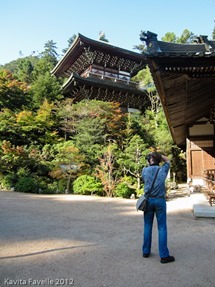 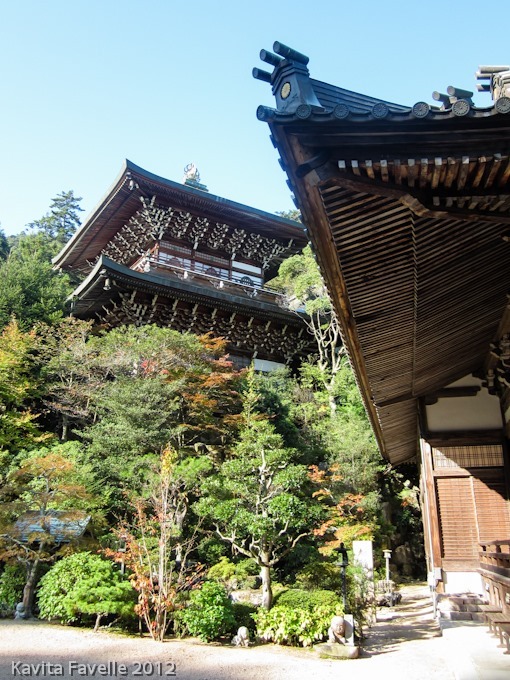 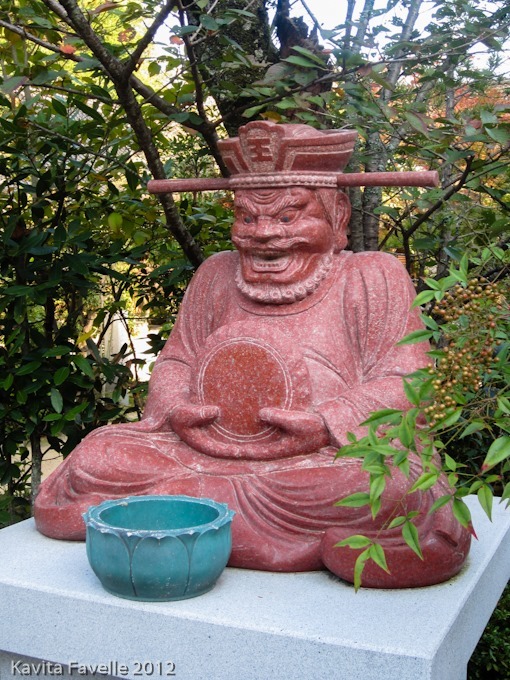 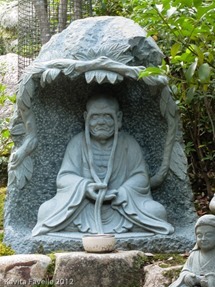 Founded by a Shingon Buddhist monk in 806, Daisho-in is located at the base of Mount Misen, and just steps away from our ryokan for the night, Watanabe. 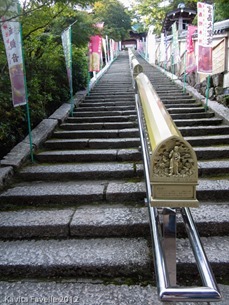 Access to the temple is via steep stone stairs. 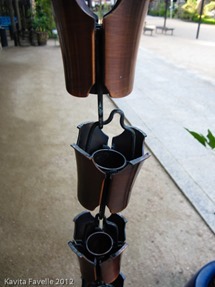 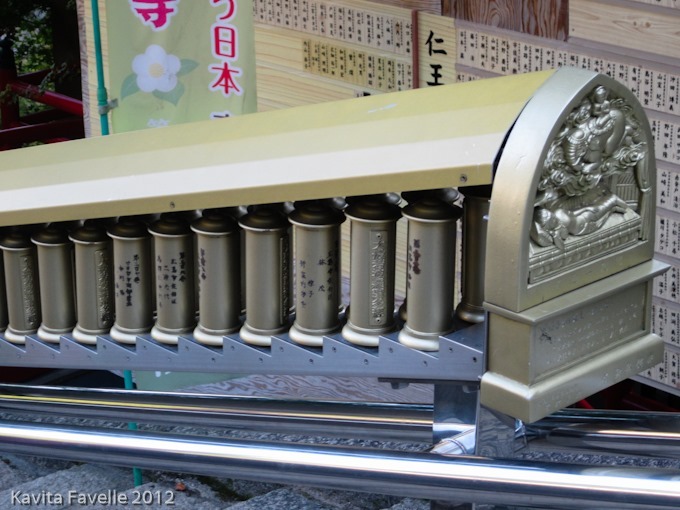 In the middle of each are spinning metal cylinders, each inscribed with sutra (Buddhist scriptures). 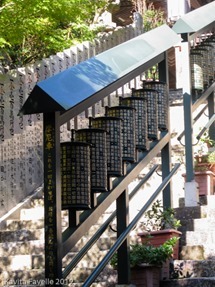 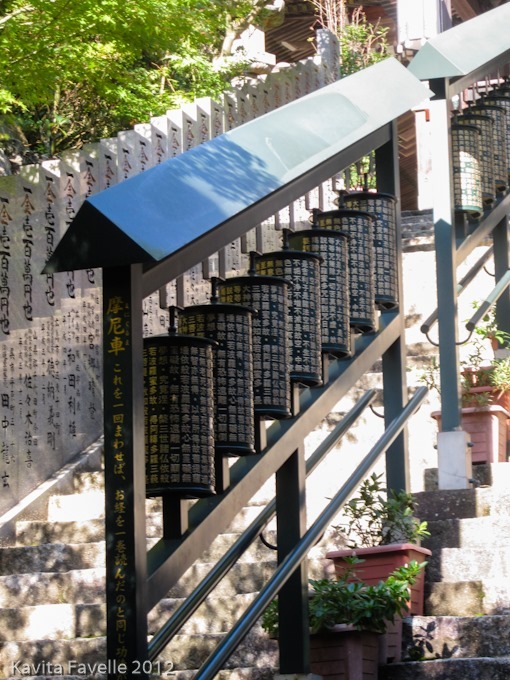 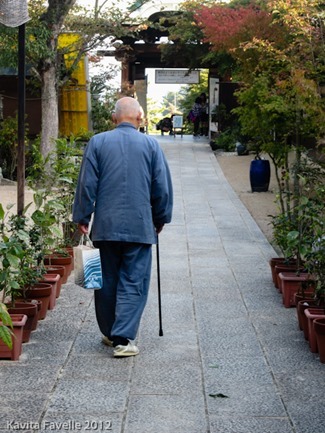 Turning the scriptures as one walks up and down the stairs is believed to be as effective as reading them, allowing those who don’t read Japanese, or know the sutra to benefit from the blessings. 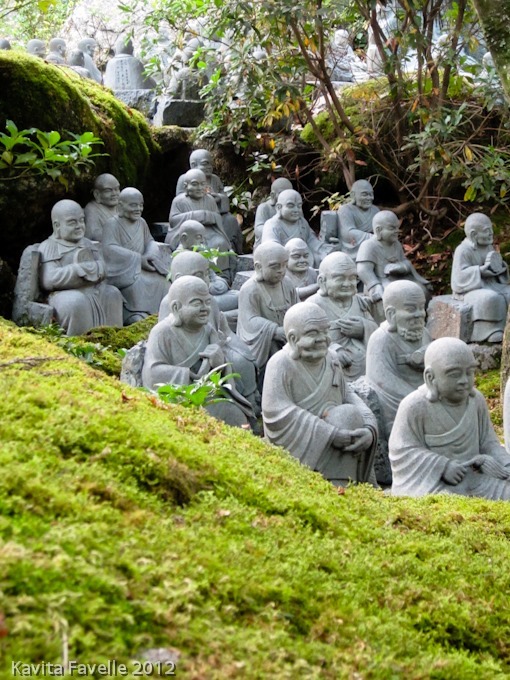 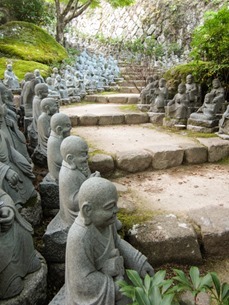 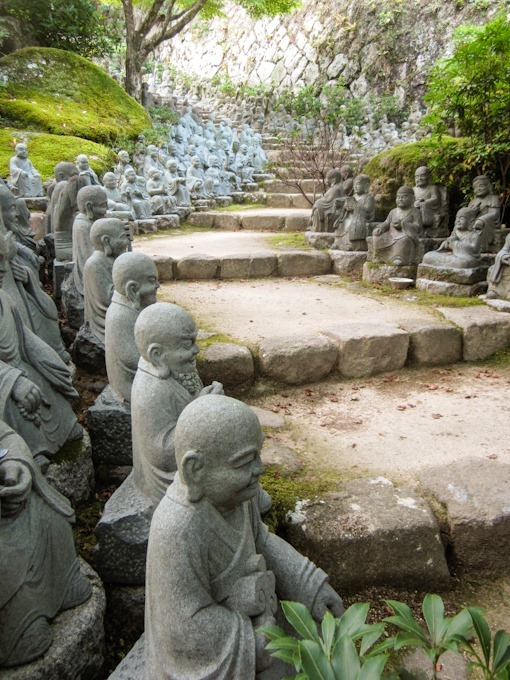 Adjacent to the main stairs are a second set, bordered by 500 statues of rakan (disciples of Buddha). 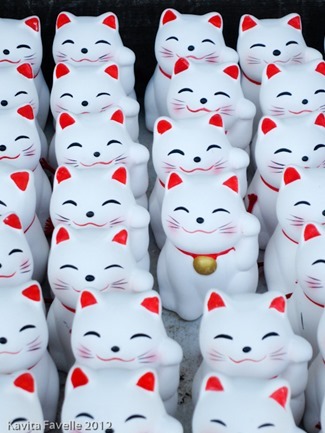 As far as we could tell, each one is different. 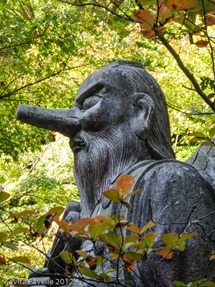 Some are quite serious, others almost cartoon-like and playful. 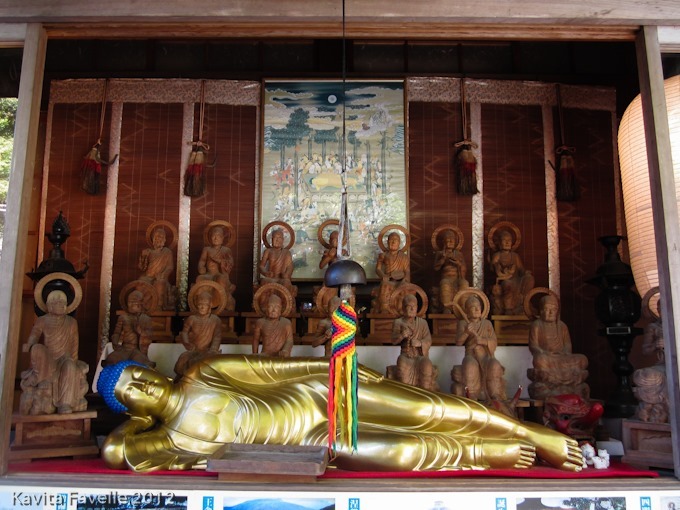 At the top are beautiful temple buildings, pretty gardens and a pond, and a wide range of statues including a golden reclining Buddha. 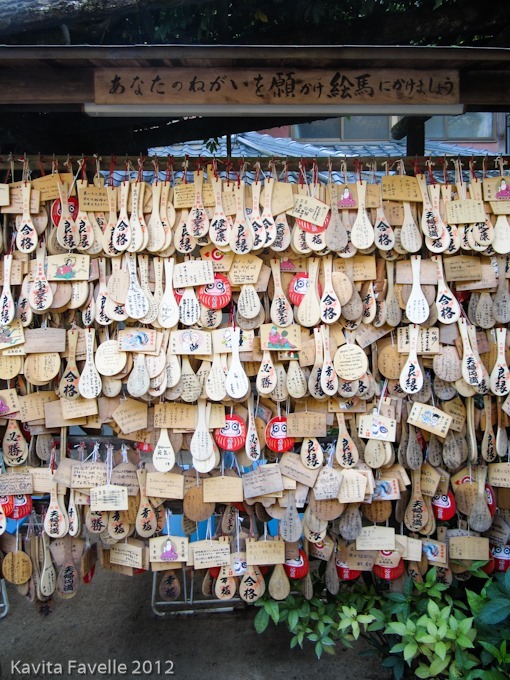 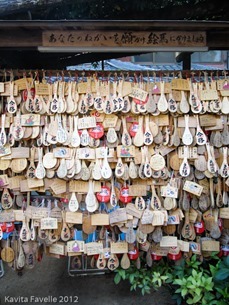 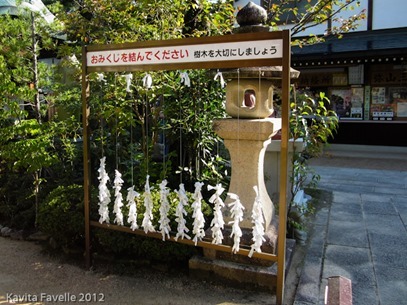 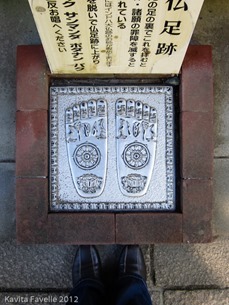 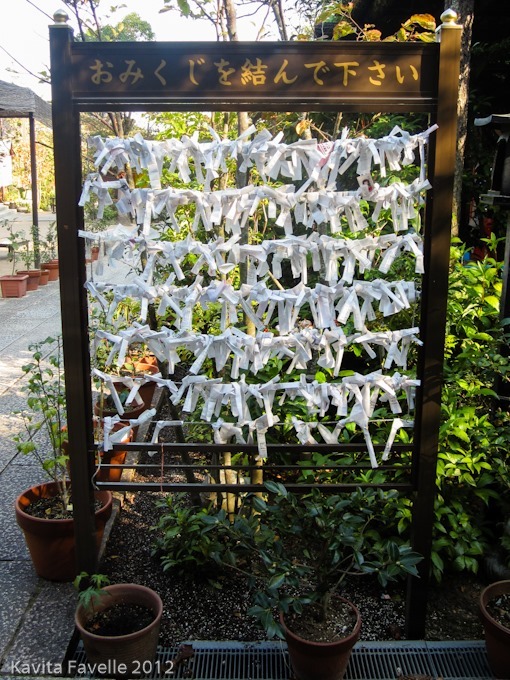 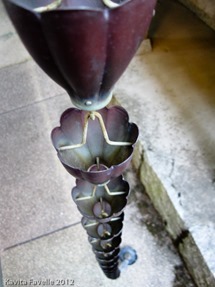 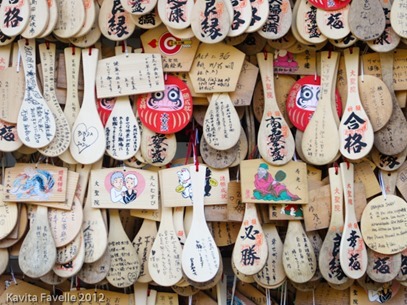 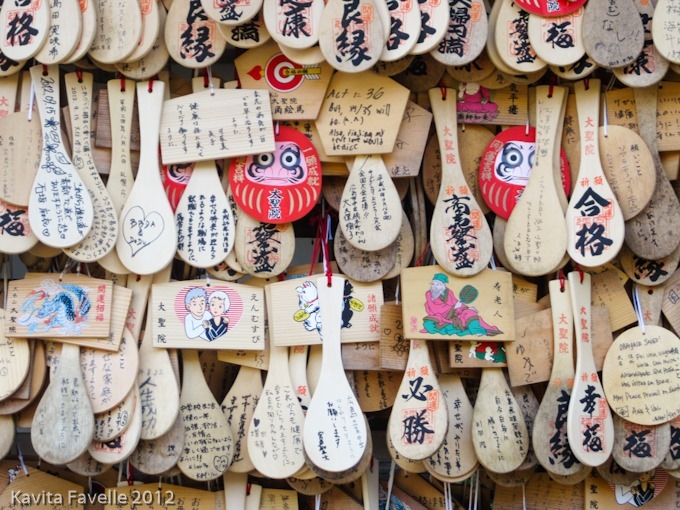 There are o-mikuji and ema available, but here many of the ema are in the shape of a rice paddle, a symbol of the island, which claims credit for its invention. Good luck maneki-neko (beckoning cats) are also on sale. 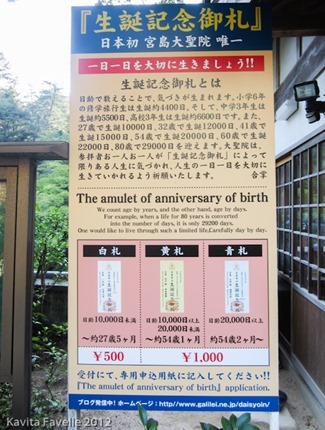 We weren’t able to work out what the panels about birthdates represented, but fortune slips for those are also offered. Another eye-catching detail is the beautiful cascading drain pipes – individual metal cups strung together one above the other. 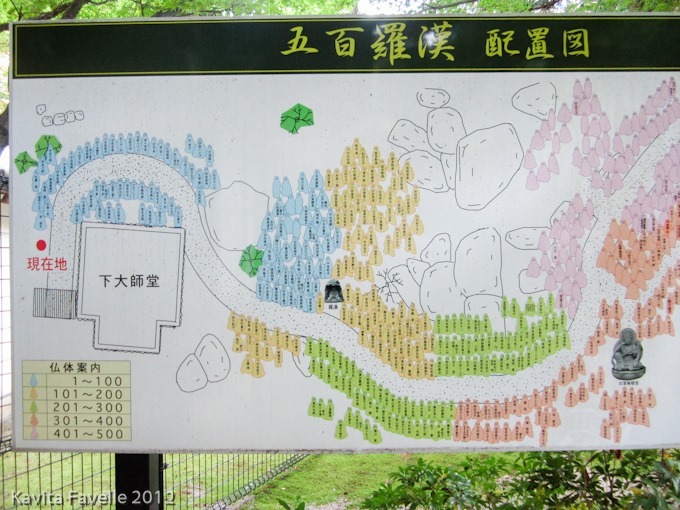 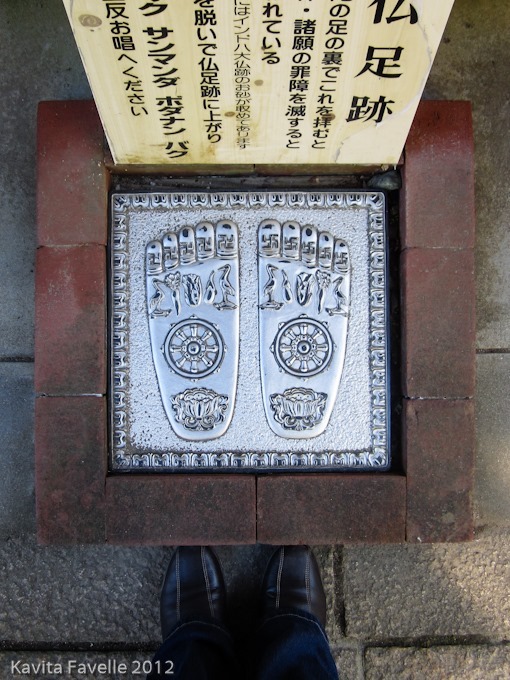 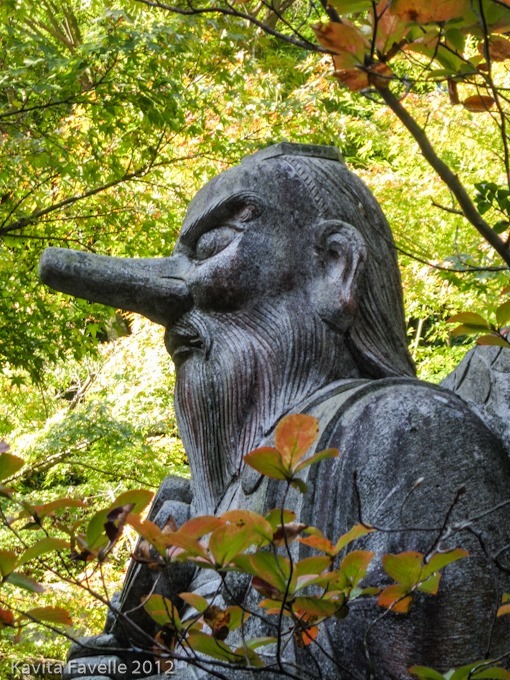 For those with the energy, the paths behind the temple lead up onto the mountain, and to other halls and statues. 3 Comments to "Messages of Health, Happiness, Love & Good Fortune (6)"
Lovely post! 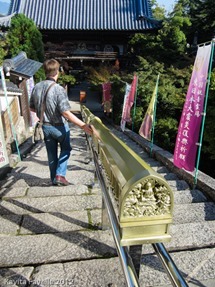 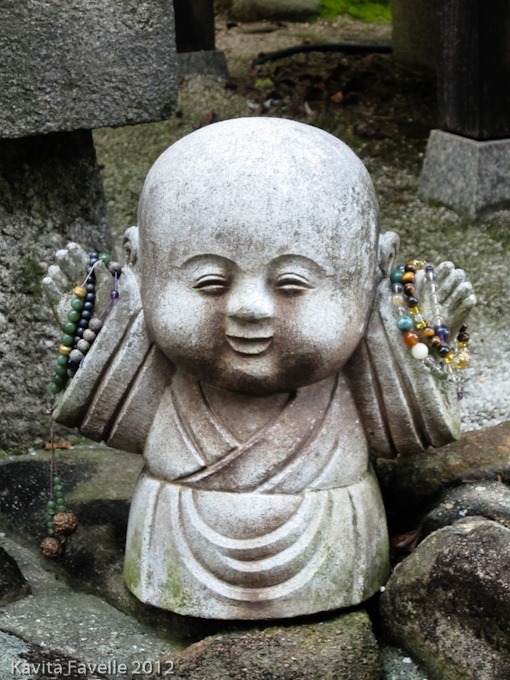 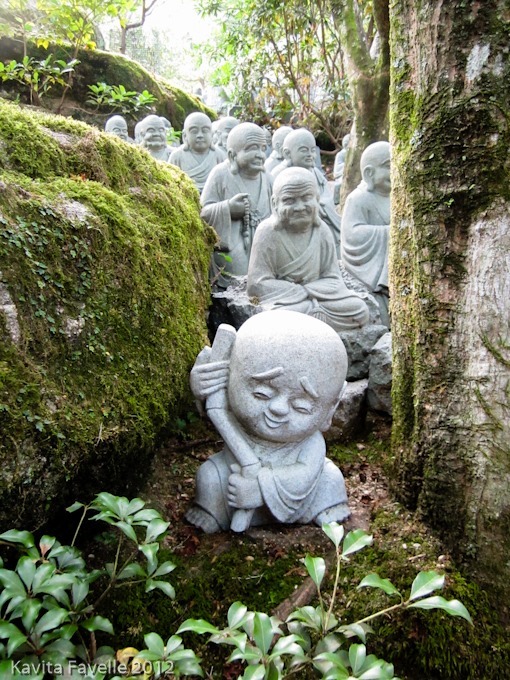 I can’t believe I missed this temple when I visited- I love all the tiny buddhas lining the steps. 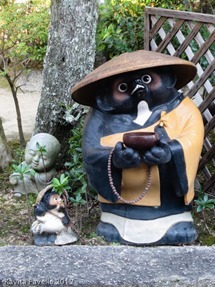 Love the badger tanuki statue also. Take a look at the wikipedia article on him: http://en.wikipedia.org/wiki/Japanese_raccoon_dog particularly love the childrens playground poem in the ongoing traditions paragraph!